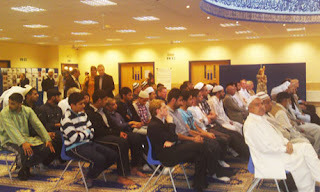 "People of different backgrounds came together yesterday afternoon in a show of unity at Makkah Mosque in Hyde Park. The event was organised to remember those who lost their lives in the London bombings on 7/7 and also to remember the lives still being lost throughout the world due to violent extremism. The Imam of Makkah Mosque, Qari Asim, said: "The event was a chance to reflect on the past five years and on how communities have worked together to make Leeds a better place. There is still fear and mistrust, but we have a lot to celebrate in this city." "Today the message is that this area - this city - is linked through tolerance and we can be a model of how we can all live together in peace and ensure that something like this will never happen again." "Suraya Ramli and Rafidah Abdul Razak, formerly officials at the government's Islamic judicial department, were named Shariah court judges for Kuala Lumpur and the administrative capital of Putrajaya in May, but the appointment was only announced in the past week by Prime Minister Najib Razak. Najib said the step was meant to "enhance justice in cases involving families and women's rights" in Malaysia, where nearly two-thirds of the country's 28 million people are Muslims. Norhayati Kaprawi, a prominent Malaysian Muslim women's activist, said the appointments were long overdue. Female judges are common in Malaysia's secular courts, though most top posts are held by men." 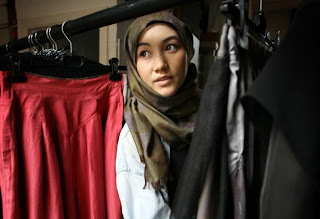 "Frustrated by this lack of variety, a small number of devout young Muslims are making their own way into the fashion industry to try and provide a middle road – sleek, elegant clothing that is both beautiful and Islamic. The seeds of this particular sartorial movement have only just begun to be sown and the number of Hijabistas in Britain can probably be counted on one hand. But their arrival heralds a shift reflected in the wider Muslim demographic of a community making their way towards the mainstream and forging their own indigenous identity. 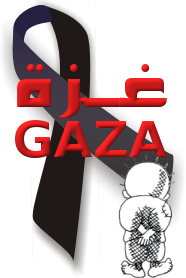 "Mike Tyson reportedly is visiting the Muslim holy cities of Mecca and Medina on pilgrimage, the Saudi newspaper Okaz reported. Tyson, world heavyweight champion from 1986 to 1990, arrived Friday in Medina with the Canadian Dawa Association for the umrah, or minor pilgrimage. From Medina he will travel on to Mecca and also reportedly plans to visit other Saudi cities"
"While in Madinah, Tyson met Dr. Muhammad Al-Oqala, president of the Islamic University, who briefed the world heavyweight champion on the services being rendered by the university to students from across the world. From Madinah, Tyson will travel on to Makkah to perform Umrah, press reports said. He will also visit Jeddah, Abha and Riyadh as part of his Saudi tour. His visit to Saudi Arabia was arranged by the Canadian Dawa Association (CDA) as part of visits it organizes for new Muslim celebrities to the Islamic sites in the Kingdom. Shazad Mohammed, president of CDA, was present at Prince Muhammad International Airport in Madinah to receive Tyson. Mohammed, an ambassador of peace with the United Nations, said Tyson would be in the Kingdom for one week, visiting the holy places as well as important landmarks in the country and meeting with Saudi people to get to know their culture and traditions."